The Oscar-winning Spanish director Pedro Almódovar is the president of the jury at the 70th edition of the Cannes Film Festival, taking place in May 2017. With all of the greatest films ever made, their lasting impact is bolstered by their music scores. Those evocative melodies follow us out of the cinema doors, lingering in our ears and minds for days (and up to decades) afterwards. 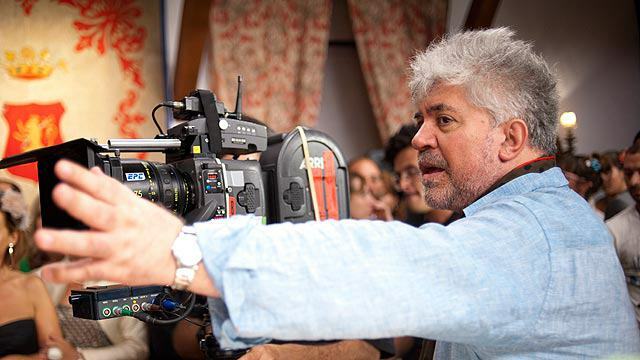 Almodóvar’s film scores are no exception to the magnetising impact of film music. They are arguably the director’s prized weapon in his works’ lasting clout and iconic status. The brilliant mind behind Talk To Her (2002), Volver (2006), Women on the Verge of a Nervous Breakdown (1988), The Skin I Live In (2011) among others, is renowned for being one of the most internationally successful Spanish filmmakers and has acquired a cult following. Meet Alberto Iglesias: the mastermind musician responsible for the film scores to all ten of Almodovar’s most noted work, with Julieta (2016) being the latest. 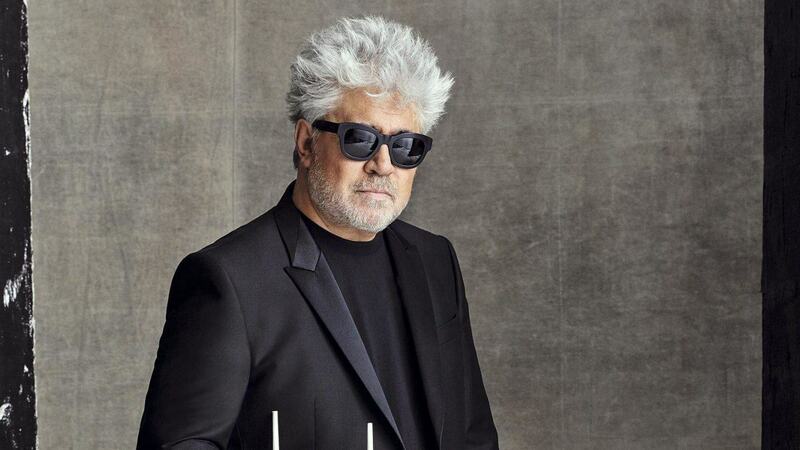 Born in 1955 in País Vasco, Spain, with three Academy Award nominations, three BAFTA nominations and a Golden Globe nomination under his belt, Iglesias is deemed Spain’s most acclaimed composer alive. Since the 1980s, he has been illustrating the lives of others with film score compositions. Iglesias told the Spanish media magazine La Ventana that despite having been in the cinema world for 30 years, he is not tired of it, although between films you need “to have your stomach pumped”. His highly-acclaimed international work includes major Hollywood scores for Tinker Tailor Soldier Spy (2011), The Constant Gardener (2005), for which he won the prize at Cannes Film Festival for Original Score, and The Kite Runner (2007). “Music can say everything”, the composer told La Ventana, in reference to the evocative ability of musical language. Iglesias is trained in classical music, yet he takes inspiration from all musical styles. “I am very disorganised listening to music. I listen to everything that reaches my ears”, he reflected. Let’s focus on arguably the two most resounding scores written by Iglesias for Almodóvar’s films: Talk To Her (Hable Con Ella, 2002) and for The Skin I Live In (La Piel Que Habito, 2011). Alberto Iglesias’s genius can be explored in Almodóvar’s chilling psychological thriller The Skin I Live In (La Piel Que Habito, 2011). The film centres around skilled plastic surgeon Dr. Robert Ledgard (Antonio Banderas) who after losing his wife to lethal burns due to a car accident experiments on human guinea pig Vera Cruz (Elena Anaya) to develop a synthetic skin which could save future victims. Be prepared: you will get goosebumps when you hear this score. The music explores the film’s principal motif of skin. Indeed, skin acts as a symbol of a physical prison, since one’s outer covering of the body entirely defines their appearance, and consequently their physical and psychological identity. A thrilling example of where the score has great impact in The Skin I Live In is during the scene where captive Vera rips up a dress in a state of hysteria. The scene’s principal track is ‘Los Vestidos Desgarrados’, which is dominated by the frenzied violin and cello playing of arpeggios in quick succession.The string instrument technique tremolo (a trembling effect of the bow on the strings) emphasises the protagonist’s sense of panic. The violin bow brushes on the strings in harsh strokes, almost scratching at them. This oral imagery of ‘scratching’ permeates through the score and creeps into the audience’s psyche; your clothes sit uncomfortably on your skin and you feel the urge to itch out of them. Through the power of Iglesias’s score, the audience feel Vera’s stifling sense of claustrophobia and rage. Iglesias’s music connects the audience, acting as a multi-sensorial portal. The theme of oppressive captivity is woven throughout the film and its score, with the string techniques heard in ‘Los Vestidos Desgarrados’ also evident in tracks ‘Una Patada en Los Huevos’ and ‘Tributo a Cormac McCarthy’. Another central aspect to the film is the notion of science, masterfully highlighted by Iglesias’s use of electronic nuances in his compositions. These electronic flourishes can be noted in ‘El Asalto del Hombre Tigre’. 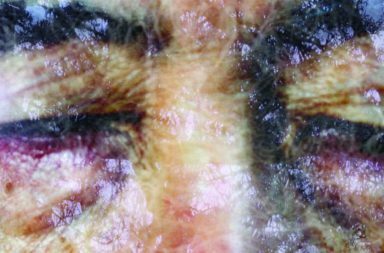 Indeed, humans’ scientific experimentation and progress (which carries heavy ethical and religious controversy) is explored in the film through plastic surgeon Ledgard’s latest project that he relentlessly carries out without scruples. In addition, the score for Hable Con Ella (Talk to Her, 2002) is also both powerful and exquisite. The comedy-drama follows two men, Benigno (Javier Cámera) and Marco (Darío Grandinetti), who share an extraordinary bond whilst caring for the women they love, who are both in comas. This score is delicate and lyrical. 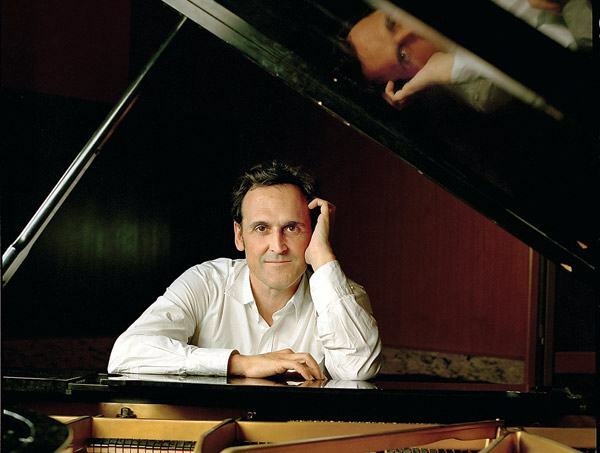 Iglesias’s compositions are consistent with his previously established style of string-dominated chamber music, present in the stirring track ‘La Mesita de Noche’. A particularly striking element of the score is when the London Session Orchestra becomes restricted in size to a smaller, lyrical string group, notably in ‘El Amante Menguante’, ‘Trincheras/Decadence,’ and ‘A Portagayola’. Solo woodwinds also arise in Iglesias’s compositions, which are smoothly harmonic with the strings. It is clear that Iglesias’s talent is the perfect accompaniment to Almodóvar’s work. We can only wait with bated breath for the next collaboration. Below you’ll find a playlist of the Spanish composer’s album Archipiélago, A Film Music Retrospective, which features all of his work as a film composer. Edited by Marine Wong Kwok Chuen and Sylvain Pinot.